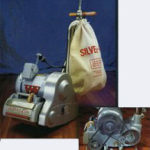 Made by Essex Silver-Line (the same folks that make the Essex Floor Sanders we carry) these Rug Cleaners are lightweight yet powerful machines strong enough for commercial use but sized just right for homeowners. These machines are great for most carpet types and offer a convenient system that's an all in one package. The machine itself folds down for easy transportation and the bucket is easy to remove to make disposal of dirty water a breeze. Whether you're working on one room, a whole house or even a commercial space these machines will get the job done quickly and cleanly. If you're interested in doing upholstery or have carpeted stairs we also have a special tool to help - be sure to tell us in advance if you need it. Extraction cleaning chemicals are available in Quart, 1/2 Gallon, and Gallon sizes. We also carry odor removers and upholstery chemicals if needed. Remember that some rugs and upholstery may require special care. Be sure to check the cleaning instructions (usually on a tag somewhere on the item) and be sure that it specifies either "colorfast" materials or "clean with an extraction cleaner" before using this machine. When in doubt give us a call with the information on the tag and we'd be glad to help. 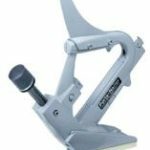 For small jobs or as an alternative to the pneumatic flooring nailer Toomey’s carries these manual nailers which fire ‘T’ style flooring nails. 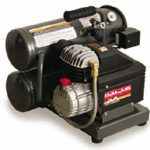 These nailers are great for doing patch work when replacing damaged boards or can be used in tight spaces where an air compressor and air hose may not fit. 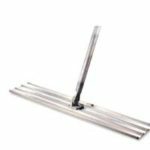 Our Bull Floats measure 48″ x 8″ and have a 12′ long handle. 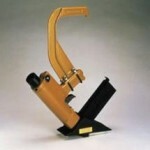 The handle comes in two six foot sections for easier transport. Along with the Bull Float we also offer Cement Mixers, Power Trowels and Cement Vibrators to help with concrete and cement floor work.